It’s that time of the year when many families find their kids back home for winter break. With the daylight hours at their shortest, and temps at their lowest, many will huddle indoors during the break. Don’t let your winter vacation get wasted away on screens, instead get outside! 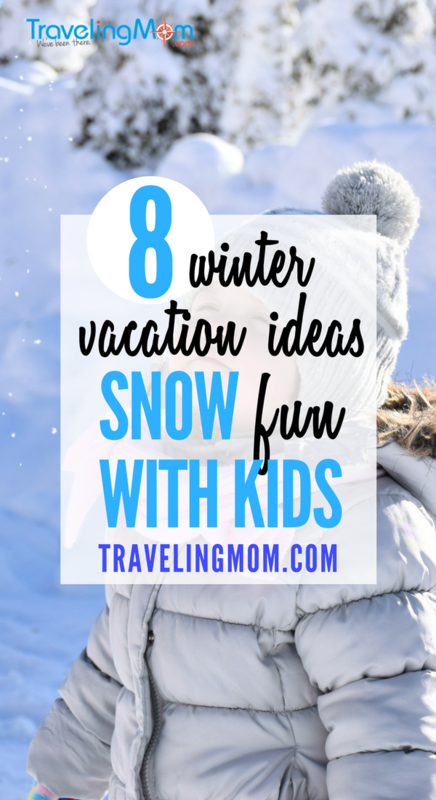 Here are 8 best things to do in the snow with kids. 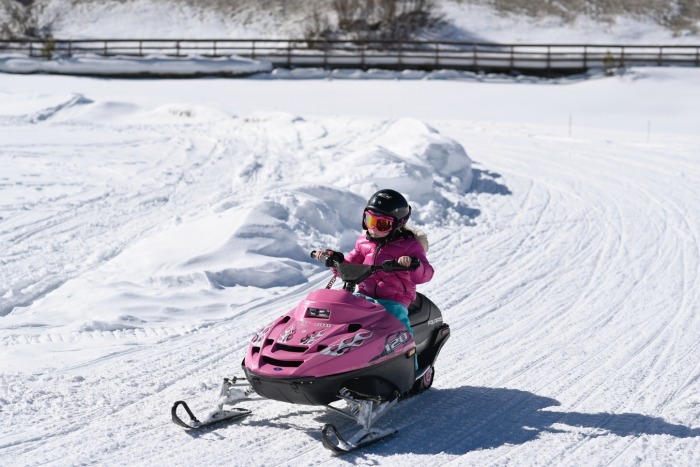 From snowmobiling to building a snowman, these winter activities are guaranteed to bring smiles and memories to your family. I’ll admit that when it’s cold and snowy, my favorite thing to do is curl up in front of the fire with the good book and cup of cocoa. But my kids aren’t quite the same, and I know that fresh air does a body good. So for some winter vacation ideas, I went to my friends to ask for their favorite things to do in the snow with kids. 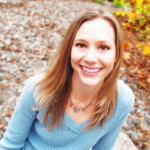 “We enjoy so many winter activities, but our kids’ favorite is probably snow tubing. In the recent years, we spent many winter vacations at the Alpine Lodge Trubsee in Engelberg Switzerland where there is a nice snow park just next to the hotel. So when we finish skiing for the day, we always end up at the snow park. There are snow tubes and sleds in all kinds of different shapes and models, and the kids have to ‘try’ each of them every single day. What we like about snow tubing is that we can do it together as a family. We hold the cords of the kids’ tubes and slide down the mountain together – thrills and lots of fun guaranteed. 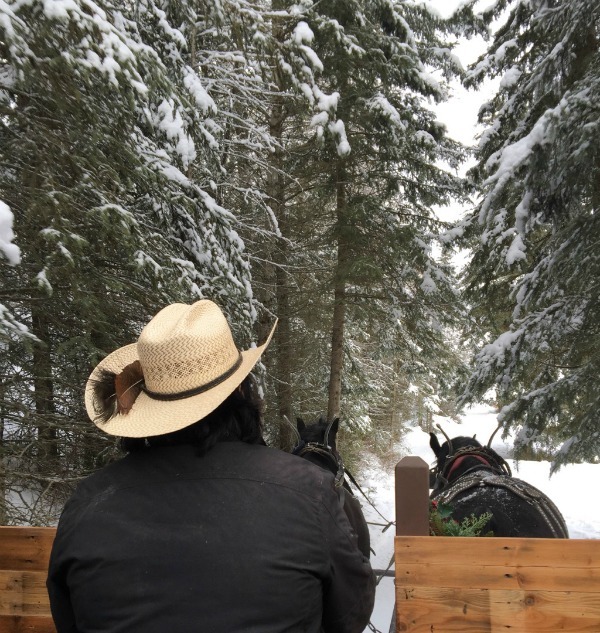 “If you’re looking for something different to do in the snow with kids, look no further than kicksledding. Like tubing, you can use your kicksled from anywhere, but unlike tubing, it doesn’t require a hill – which means you can kicksled anywhere there is snow or ice. Take it to your local cross country skiing location, your favorite snowy trail, or even along sidewalks and snow covered streets. Never heard of a kicksled? 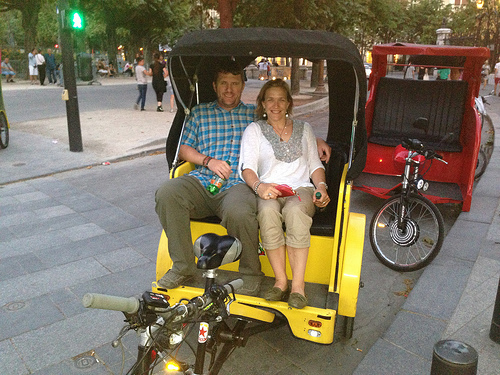 It’s like a scooter-ish, ski-ish, sled-ish seat that you can ride with reckless abandon over snow and ice. In a more technical sense, it’s like a chair and cross country skis mated with a kick scooter and the result was pure fun. This attached chair is perfect for kids who aren’t able to kicksled on their own so they get to experience the exhilarating ride, but that seat can also hold adults, too. 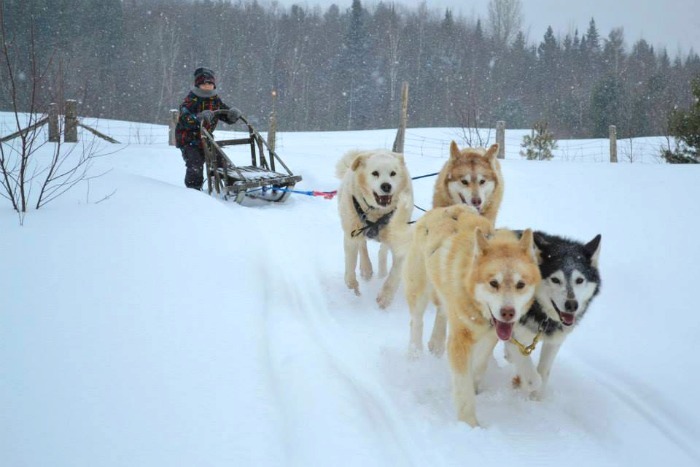 Dog sledding in Canada. Photo credit: Chiens-Traineaux Petite-Nation. “Making a snowman (or snow woman) is a right of passage. Families from cold states throw their kids out as soon as the first flakes hit the ground so their kids can create their village of people. 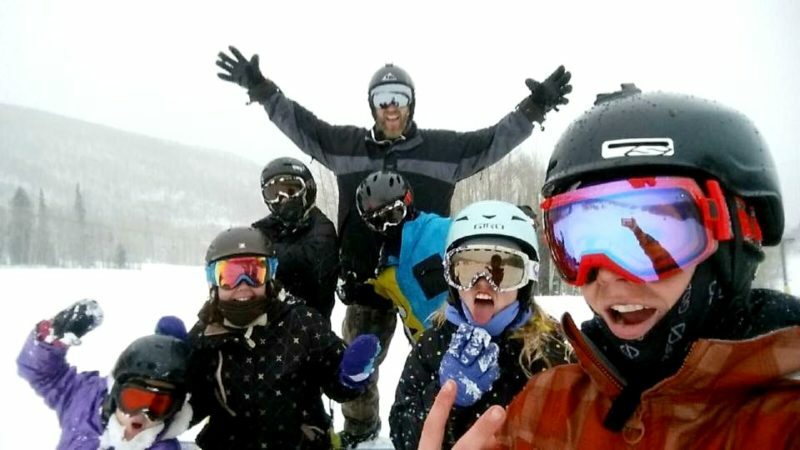 Those from warmer states fly to snow, releasing their children into a wild, white wonderland. Snowballs and snow people instantly transform the landscape. For my husband, he couldn’t wait for the day that our kids were big enough to build their first snowman. While living in Seattle, we not only had to wait for the boys to be big enough (I’m only talking about two years old), but also for enough snow to actually fall. Seattle got a lot of rain, but not a lot of snow. One night those crystal flakes started to fall, and best of all, they started to stick. My husband ran out with our oldest son, barely over two, the next morning, and they began to roll big balls of snow, mixed with leaves and dirt because let’s get real, there just wasn’t that much snow on the ground. Wood chips made up the eyes, some birch twigs the arms, and a carrot for the nose. Our first snowman didn’t last long. By the next day he had fallen over and was melting, but he sparked a love of building snow people in our son that hasn’t stopped and has spread to his little brother. I feel inspired! I’m not going to let this winter vacation go by staying bored indoors. 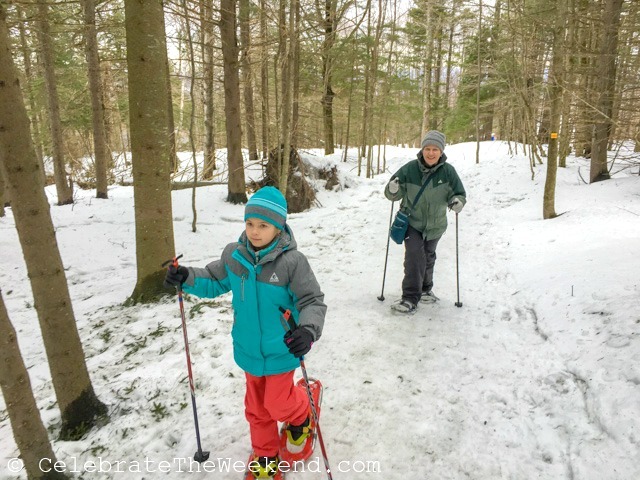 I’ve got 8 great ideas for things to do in the snow with kids! Now I just need to go find the snow…and you can bet I’ll be curling up with a book and some hot cocoa after all that snow playing. Living in the deep south, I harbor memories of snowy New Jersey childhood winters. Kicksledding would have been fabulous in those days. Thanks for inspiring me!